The Olympians, by Gordon Dean. Copyright Mythweb 1998. 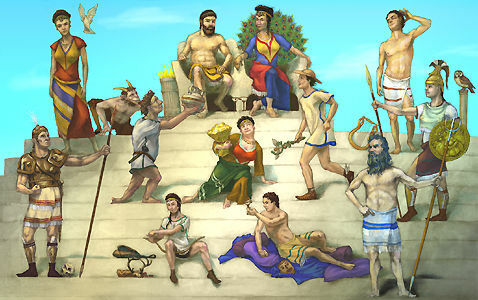 For more information, click on the individual deities in this group portrait of THE OLYMPIANS. These twelve immortals dwelt in a magnificent palace on the heights of Mount Olympus, from which they took their name.